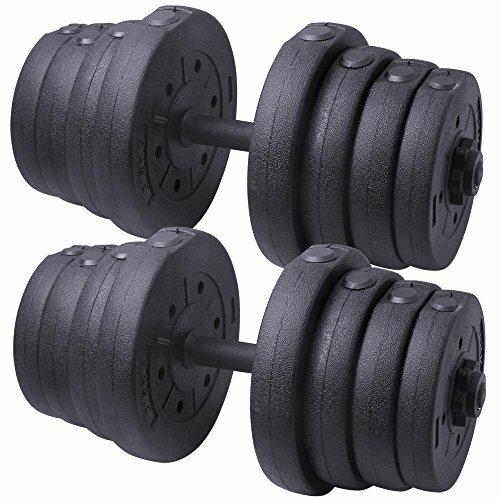 This high quality dumbbell set is made of concrete weight plates and chrome finish bar. It comes with different sizes weight plates for you to adjust to your desirable dumbbell weight. This weight plate set features with 2 pairs ofspinlock collars and non-slip grip to provide you a safe and secure exercise experience. It is great for your upper body workouts, which helps tone and sculpt your arms, shoulders, back and also strengthen your muscles. With this dumbbell set, you can exercise at home, in the office or any place at any time.